»Culture & Arts»Club GASS: Traffic Light Party – Blind Date Special – 15 February 2019! You’ll be excited and delighted to attend the upcoming Club GASS Traffic Light Party on Friday 15th February! 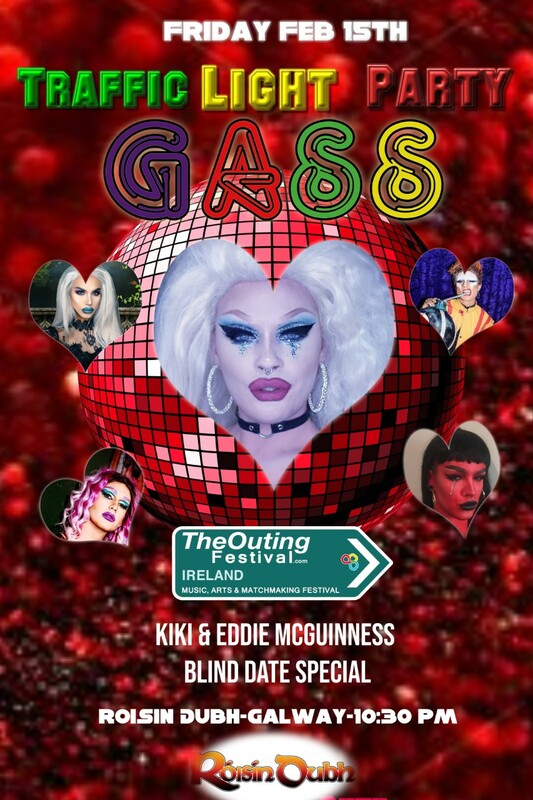 Club GASS are also delighted to be teaming up with The Outing Festival, to bring you a super exciting edition of Blind Date! With Kiki and the girls, DJ Ruth, and Eddie McGuinness, and the BLIND DATE SPECIAL, you may just meet the ‘one’ or even the ‘half’ that is, the other ‘half’. Even if you don’t, you’ll have a great time at this post-Valentine’s Day special, at the Róisín Dubh, Dominick Street, Galway, Friday 15th February, at 10.30pm! Come along early, and let them know if you’re single, you could end up being that special someone’s blind date!